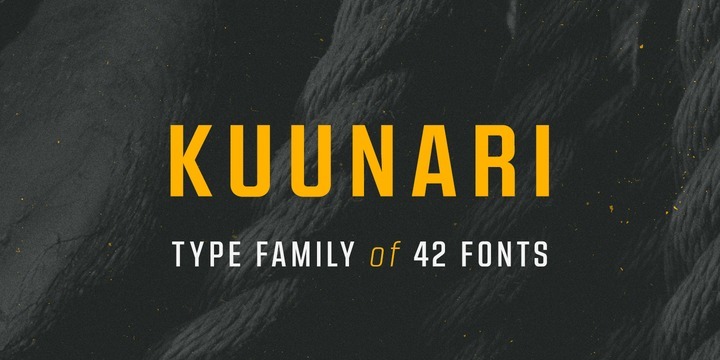 Kuunari is a sans serif typeface published by Mika Melvas which is based on round cornered rectangle. It comes in 42 styles, 3 widths (Regular, Condensed, Compressed) each with 7 weights (from Thin to Black) and their italics. This versatile font it works great on typographic use, logo, title, poster, packaging etc. Enjoy! Price: starting from $16,00 for one font to $169,00 for all 42 fonts. A font description published on Tuesday, October 31st, 2017 in Fonts, Mika Melvas by Alexandra that has 2,518 views.